San Francisco police are looking for a woman they say beat a 65-year-old man to death with a cane in an argument over a slice of pizza. The San Francisco Chronicle reports Wednesday that Harvey Grosser of San Francisco has died, nearly a week after he was struck with a metal cane in the South of Market neighborhood. Surveillance footage showed an unidentified woman hitting Grosser and police are looking for her. 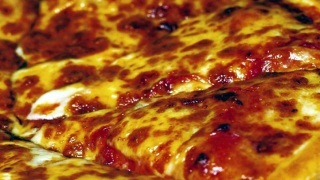 Police say an argument over a pizza slice led to the fatal attack.